Sign Up Now While Seats Are Still Available! Now is the time to be thinking about Panama. If you are looking to relocate, there is no easier place in the Americas. If you are looking to invest, the recent turmoil in U.S. financial markets should have you thinking about diversification. This is not a drive-by tour. We will take our time and present you with matchless information and advice. You will get the lowdown on how, where, and why to live or invest in Panama from our team of resident experts. 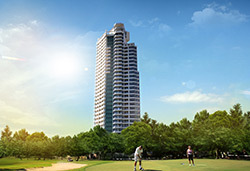 You will meet face-to-face with representatives from some of Panama’s largest and most reputable developers, and see the best of what they have to offer both in the city of Panama and at the nearby City Beaches. There are even some special offers available only to participants of these tours, so definitely come prepared. Did we mention that it's first-class all the way? This is an amazing price for the five-star accommodations we have lined up. The Westin Playa Bonita. The famed Coronado Golf and Beach Resort. These names represent the very epitome of luxury in Panama. Expect to be very comfortable. 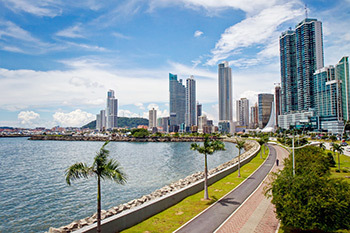 Airfare is not included, but flights to Panama City from several U.S. gateways are at record lows because of increased competition (we found $400 round-trip airfares from Newark, Miami, Chicago, and Los Angeles for these dates), so don't delay. Book your travel now, and we will see you soon. 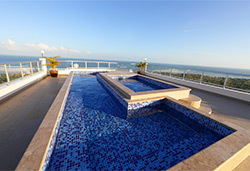 Accommodation all four nights—one night in Panama City, two nights at the Westin Playa Bonita, and one night at the Blue Bay Coronado Golf and Beach Resort in Coronado Bay. We’ve negotiated an amazing rate of $999 per person ($1,499 for two) for this deluxe tour, scheduled for April 12-16, 2016. We deliberately limit the number of people on these tours so all participants get the attention they deserve, so sign up now. Can’t make it in April? Find out more about future tours here.